"It was the best decision I could have made." 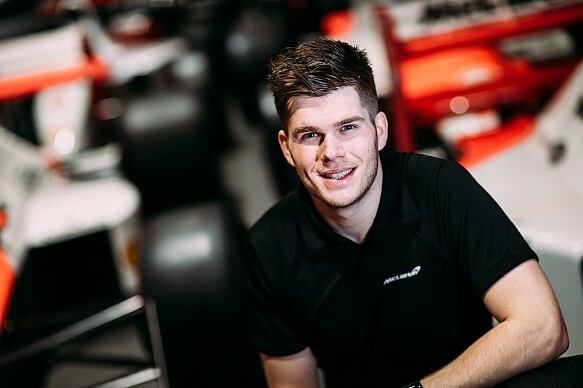 These are not usually the words used to describe giving up on your motorsport dream, but, then again, Rudy van Buren's route to Formula 1 has been anything but conventional. In 2010, the then Dutch teenager was forced to face the all too common reality of giving up on his motorsport dream. Flash forward to present day and van Buren is not only one of the leading figures in eSports, but has recently beaten some of the finest names in motorsports in equal machinery. Prevented from progressing further up the motorsport ladder by finances and his height, the 2003 Dutch Karting Champion was eventually forced to call time on his racing career in his late teens. "At that age, you don't understand as a driver, at least I didn't," he says. "At 16, you just have one vision - racing, racing, racing. I never had the ambition to become a Formula 1 driver, because from a quite early age, it was easy to see I was one of the taller guys. Height is weight, [I had a] high centre of gravity, and on top of that, [not] all the money that needed to go into it." 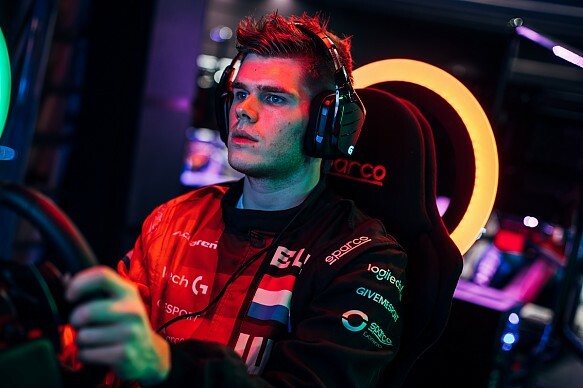 Van Buren's life returned to normality, and he took up sim racing as a hobby while pursuing a career as a sales manager in Lelystad in the Netherlands. But everything changed in July last year. After seeing an advert on Facebook, van Buren entered McLaren's 'World Fastest Gamer', a competition to become one of its official simulator drivers. More than 30,000 sim racers entered, with van Buren attracted by one of the ways to qualify - via rFactor 2, his game of choice. Using a standard Logitech steering wheel and playseat, van Buren qualified and advanced through several rounds, which involved a variety of different games - some familiar to van Buren and some completely new. He excelled in the qualification stages and advanced to the rigorous grand finale held at the McLaren Technology Centre. "We were tested on everything you can imagine, from team work, to fitness, to media and on loads of different racing games," the 25-year-old adds. "The most difficult thing was to be consistent at everything. You still need to show your hand in everything you do, while you also know that you're not going to be the best at everything." Van Buren beat his fellow countryman Freek Schothorst to be crowned the 'World's Fastest Gamer'. "Since November, my personal life turned upside down, in a positive way," he says. "The whole competition got huge media attention, which was really cool to see. I was able to quit my regular job. 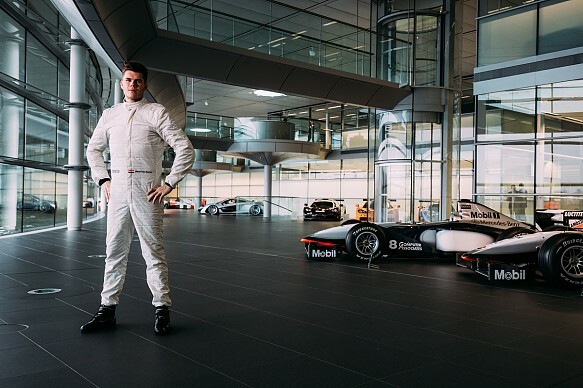 "From 1 January, I'm a full-time McLaren employee, and everything I do is about racing. Literally everything. Everything is about sim racing, e-racing, F1 simulator testing, and other things that might come up this year. "It's mega - I never had the idea I could get a career like I'm currently building at McLaren. From my point of view, with my preference, and love and ability for racing, it is one of the best jobs in the world." Van Buren explains his role and says he's preparing to test some real-life cars for the manufacturer. 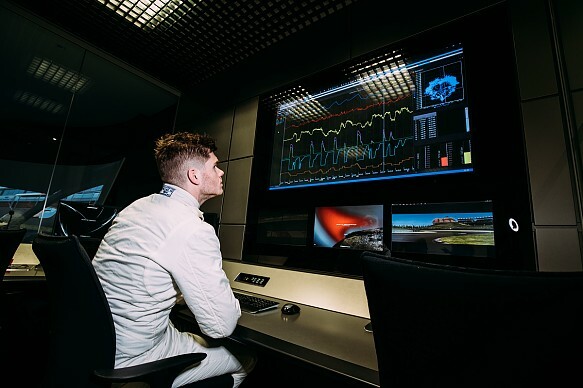 "You've got the F1 stimulator, then you got the MAT [McLaren Applied Technolgies, a division of the McLaren Technology Group] simulator and the fitness programme" he says. "Those are the three main blocks that I work in. "There are guys who get a lot more days than I do in the F1 sim, which is 100% logical, because they have done the job for years already and they are a major asset to the testing team. I'm not the guy who's going to do 50 days in the sim every year. I get a proper amount of days don't get me wrong, but it's not like the full yearly job. "I also have a certain amount of days in the MAT sim and the fitness programme. I was quite fit when I got there in November, like fit in the way of a proper stamina, proper muscle but, because I'm so tall, we have now made a whole programme I'm going to run through to shave off the bits where possible, to get the weight down, but still be strong enough in all the areas I need to be, in case I need to test a real-life car. "I don't mean an open-wheel formula car, because that won't happen. But in a GT car, you still need some muscles in certain areas to cope with everything. 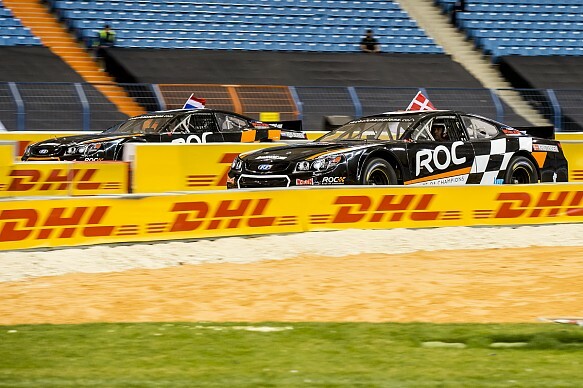 There are also nice trips, like the Race of Champions, going to F1 races and winter testing." After conquering the virtual world, in February van Buren received an opportunity to test himself against some of the biggest real-life motorsport stars. He competed under the 'Sim Racing All-Star' banner at the Race of Champions in Saudi Arabia, alongside Enzo Bonito, who finished fourth in the 2017 Formula E Vegas eRace. Bonito had to beat three other leading eSports figures in a race-off, while van Buren was fast-tracked to the main tournament. "I was just treated like a real-life driver there," van Buren said. "I was taken fully as a real-life racing driver, no extra laps, nothing, the first thing I asked for was 'put me straight in a car', because it's the way to prove myself. "We had such limited practice time and it was about eight years since I was in a racing car. So it was such a steep learning curve to perform there in all the different cars between the concrete blocks of the track, with no grip, against the best of the best - most of whom have done the Race of Champions five, six times already or are in a racing car each week." Despite his lengthy absence from the cockpit, van Buren picked up three wins in the short, sharp one-on-one heats. He beat two-time Le Mans winner and double World Endurance champion Timo Bernhard, 2017 Formula 3 European runner-up Joel Eriksson and, most satisfyingly of all, McLaren F1 junior and Euro F3 champion Lando Norris. "Coming away with three heat wins there, against big names, was really great," adds van Buren. "Lando and I had proper banter prior to it. If we faced each other [it was], 'who's going to be quicker? ', and then it was advantage for Rudy, well I just smiled [then]. It's the Race of Champions, we should not put too much weight on it, but it's nice and easy for the smack talk in that regard." Van Buren recognises the significance of his achievements, not only for his own reputation, but for the wider eSports scene. "I know that I'm one of the big faces for eSports in the racing world, and I don't mean that in an arrogant way," he says. "I know I'm in the spotlight and they are going to look and see how I cope with certain challenges. Riyadh helped with that, we got a lot of positive responses out of the eSports scene, which was very happy to see what I did of course. "It's just good for the whole scene in general, not just for me as a sim racer who opens doors into a real-life racing career for himself, but just for the whole simple story 'sim racer goes into Race of Champions, keeps his head above water'." That final phrase seems an extremely modest way of summarising van Buren's game-changing success. Just a year ago he believed his racing dreams were long gone, he now finds himself as one of the leading figures in the eSports revolution.